Many aircraft received damage when a severe storm swept across Brisbane international Airport leaving a trail of destruction behind it. No loss of life was recorded. In the early evening hours, a powerful thunderstorm had developed across parts of the east coast of Queensland accompanied by lots of rainfall and high winds. It was about 17:25L when out of that storm, a much stronger cyclone was generated that swept across the tarmac, hangars and buildings of Brisbane Airport. The national meteorological service measured a strongest wind force of 157 km/h (85 knots). The storm was described as a „mini-cyclone“ which lasted for about eight minutes. All insufficient secured equipment, vehicles or other objects were blown across the tarmac by excessive wind forces. 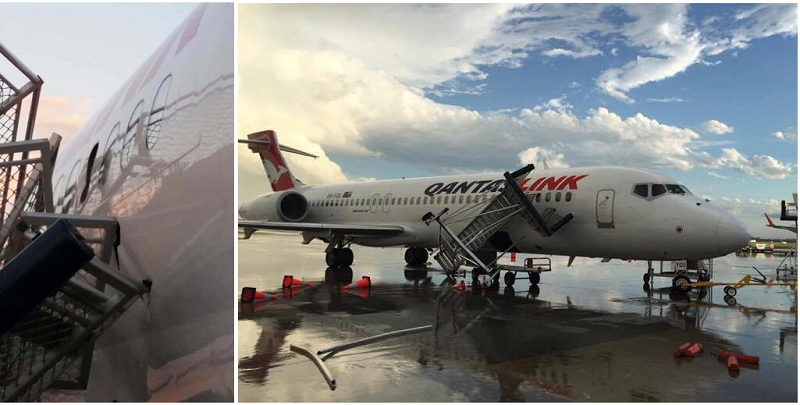 Among the aircraft most affected by the storm was Cobham Aviation (Qantas Link) Boeing 717 (VH-YQU) that took serious damage from a violent impact with an unknown object. 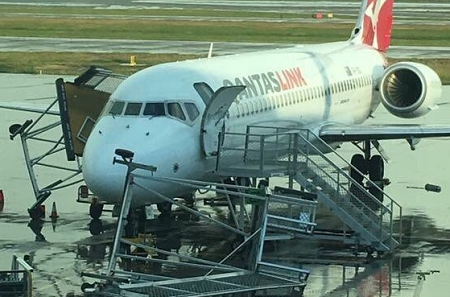 A parked Boeing 737-800 of QANTAS was also damaged by blown equipment. A Dornier Do-228 of GAM Air (VH-VJN) took minor damge when its left undercarriage partially collapsed. 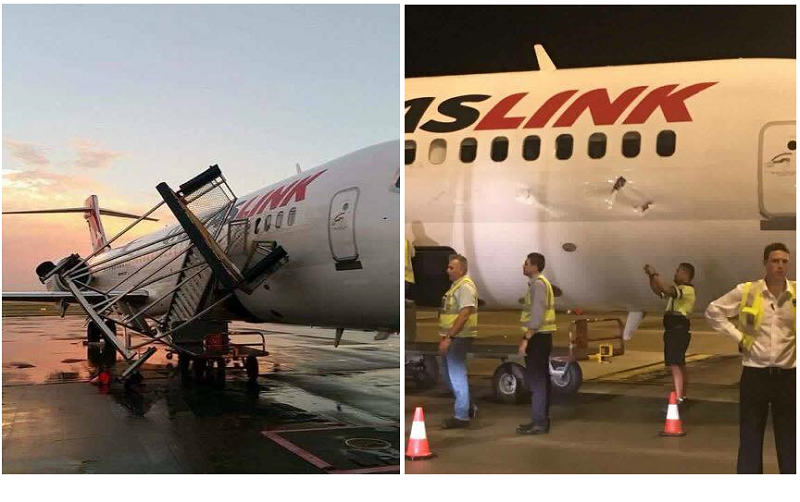 A stored Boeing 737-300 of Nauru Airlines (VH-YNU) as well as a Virgin ATR-72 received unknown damage. There also was lots of property damage to rooftops and cars. The total amount of damage is yet to be assessed.